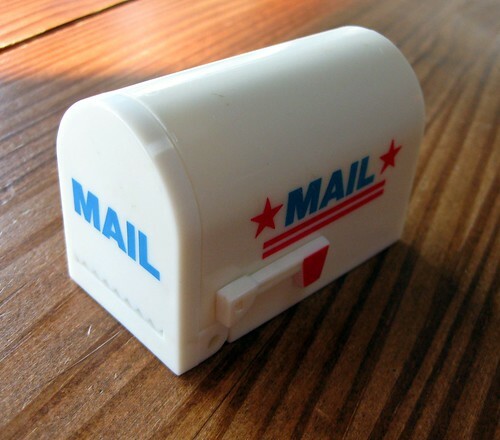 Here's a new item in my etsy shop: a Mini mailbox stamp dispenser. How cute is this?? 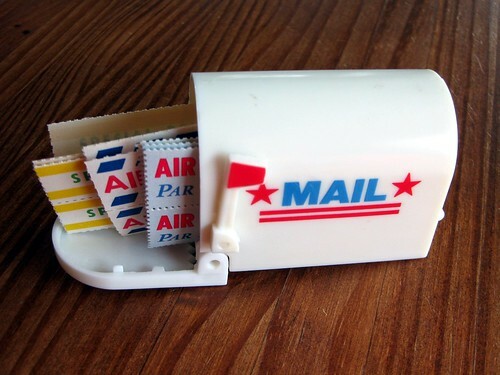 Originally sold as a stamp dispenser, it has a spongy stamp moistener tray on the inside. 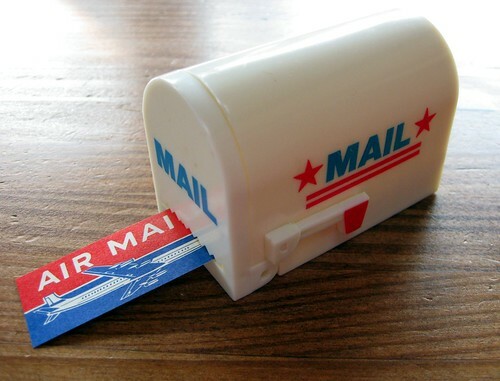 Not sure if anyone still uses stamp rolls - this would certainly fulfill that function, but it can also be used to store stickers, vintage airmail labels, or any other small items. 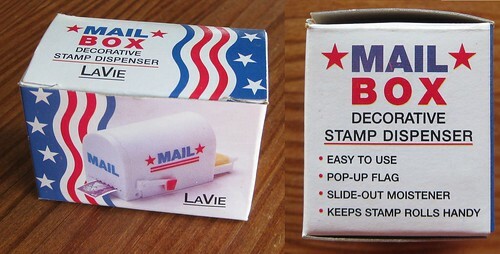 It's a little less than 3x2x2 inches, and the little flag can be put up and down. 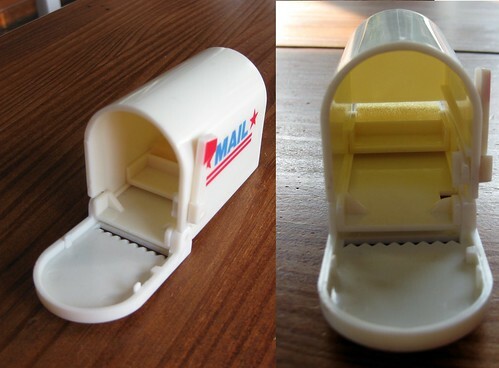 Perfect for the mail enthusiast! 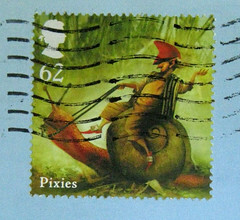 really interesting collectible item ! Love it, it's very cute!